This entry was posted in Finance, Urban Affairs. Bookmark the permalink. No money in the budget for snow tires for TTC buses nor police cars. There is money to speed up the DRL by several years but why no money to speed up the SSE? The SRT is shut down pretty much every day these days leaving countless Scarborough people suffering in the extreme cold. We need the subway in Scarborough NOW and if the construction of the SSE does not begin soon, then we will no longer be supporting Premier Ford in the next election. Steve: The Scarborough Subway plans and cost estimate are supposed to come to Council in April for approval, but if Ford insists on taking over the project and changing the design, don’t hold your breath for any speed-ups. The interruption to Line 2 between Woodbine and Warden this week may not have been as severe as the shutdown of Line 3, but riders of an extended Scarborough subway would have been riding shuttle buses either way. 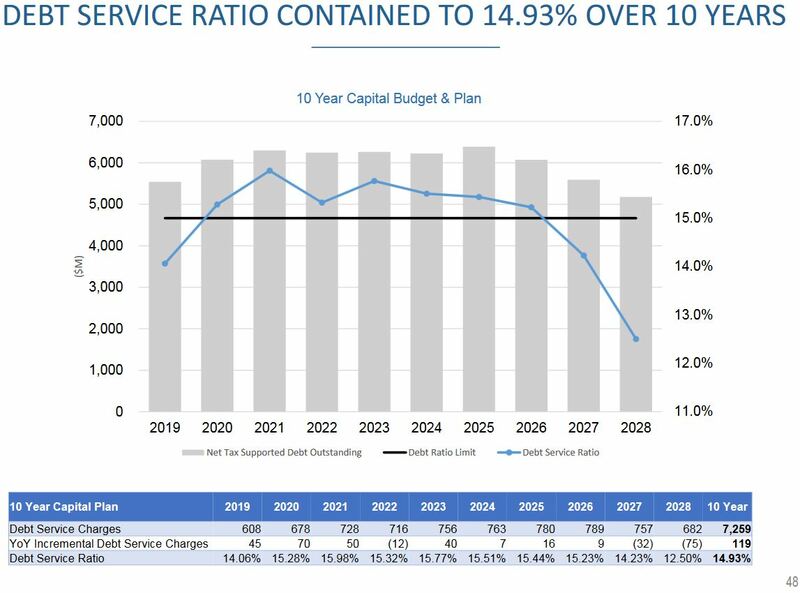 I am concerned about the acceleration of the C/ALRV fleet retirement, the seeming change of heart by TTC on obtaining compensation cars from Bombardier and the kicking out of more cars to the late 2020s, while at the same time depending on bustitution to fill the capability gap when there is no plan for the next garage after McNicoll. An “1810 Markham Road” type facility in the Portlands to service downtown/bustituted routes seems to me something that needs to be urgently pursued. Steve: A few points here. First, the TTC is actively looking for a site for the next garage somewhere on the west side of the city. The bad news is that they are looking at a 2026 opening date. In theory, they will get buses back from the combined benefits of the end of construction on Eglinton, opening of Eglinton LRT, and opening of Finch LRT in that order, but I don’t have the details of how many they expect (awaiting the detailed fleet plans from TTC). The 1810 Markham facility has the advantage that it is simply an extension of an existing garage that has facilities to service and fuel buses. There is no comparable facility in the Portlands or anywhere else downtown. Again, I am awaiting the detailed fleet plans to see how the TTC plans to operate the streetcar network with 204 cars. Rick Leary has talked of bustitution going only to year end, but this does not align with some other statements. 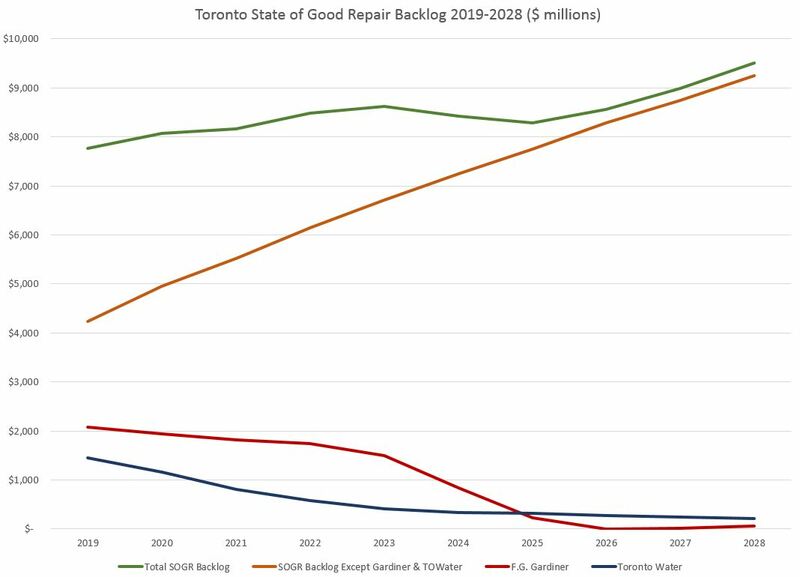 We need good transit in Scarborough NOW, not an ill-thought-out subway extension that will not arrive for many years. If you want good transit (or good anything, really), you should already not be supporting Premier Ford. There is no good reason not to revert to the LRT plan: SRT replacement and extension, Sheppard LRT, and Eglinton East LRT. Much-improved transit to many important locations in Scarborough, all for about the same total cost as one measly subway stop. Even a one-seat ride along Eglinton, no need to change trains at Kennedy! Steve: You vote for a Ford, you get what a Ford delivers: BS, dreams, but not what you really need. 5,000 drivers in rush hour avoiding the “agony” of a 3-5 minute delay – easy approval for half a billion. Canadians with holes in the ceiling, leaking plumbing, unsafe housing, cockroaches and crime – not much at all. Canadians on a waiting list for affordable housing – pretty much nothing. Steve: It’s simple: Certain Councillors think that their constituency is at home in warm houses or driving in their cars. Public housing is for “other” people who don’t rate their concern. I could put up with slower transit rollouts if we were actually spending the money on housing. But for an expressway we don’t need, it’s just disgusting. The continuing delays and shutdown of Line 3 highlight the state of repair. This line is now past it’s due date and the time for political posturing is past. The fastest way to get higher order transit into Scarborough is to build LRT (Sheppard East, Eglinton East-Malvern, and re-plum the SRT for LRT units. The cost would be less than the SSE and construction would be faster. Both Sheppard East and the Malvern extension have the planning and approvals complete – just throw in the money and the construction can start. 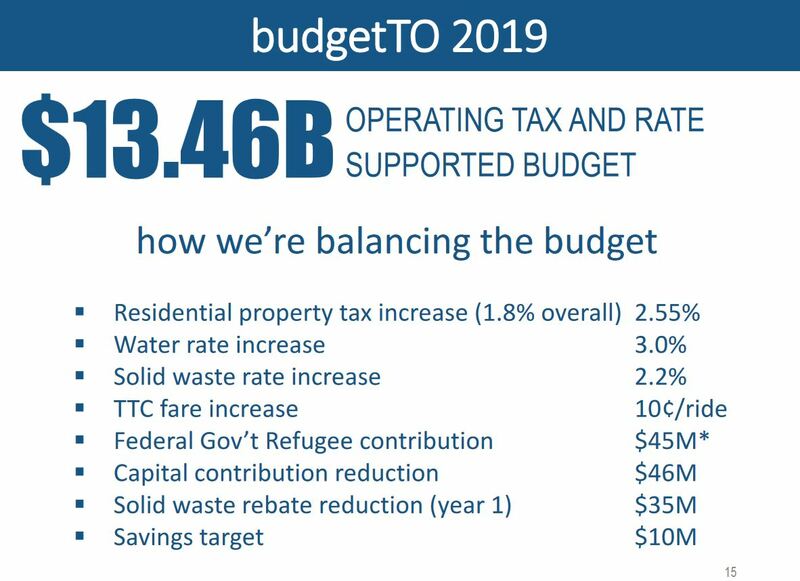 Looking at the budget and planning the TTC has done for the new Line 2 yard, signals, cars and extension, having the SSE postponed in favour of prioritizing the LRT lines in Scarborough might be a good thing. It would allow the TTC to straighten things out and get their ducks in a row. And running 2 or 3 large infrastructure construction projects might create some much needed jobs and stimulate the Ontario economy. Unfortunately too many politicians have too much “face” tied to the construction of the SSE. Unless the projected cost of the one stop is outrageously high we will be stuck with it. And any change will only result in more delays. Steve: The SRT’s problems in cold and snowy weather are inherent in the technology separate from its age. Vancouver, which uses more recent versions of these trains, has big problems when they have a lot of snow (a rare event out there). This should be an example to designers of “modern” technology that it must work under a wide variety of conditions, not just a clear summer day for photo ops. The power supply and propulsion system inherently will fail when snow and ice build up on the power rails and the reaction rail (the wide, flat rail between the two running tracks). 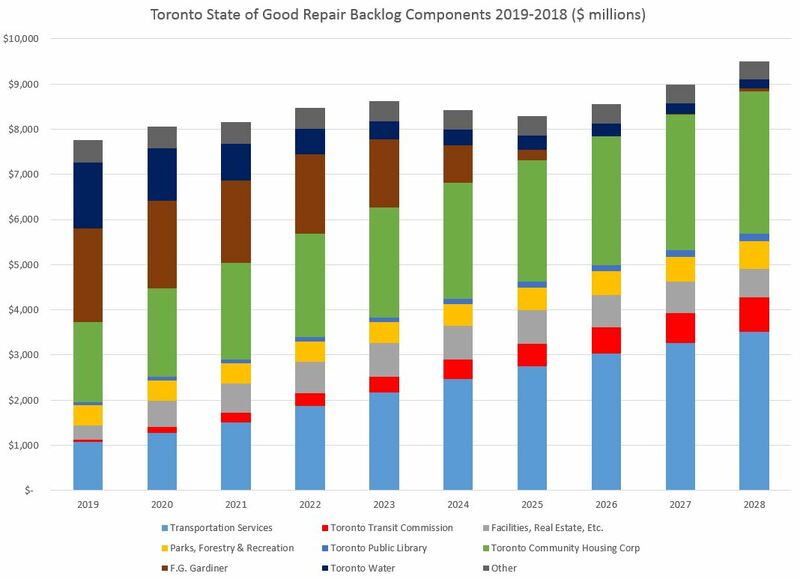 Toronto doesn’t have enough money for current maintenance; not enough money to build new infrastructure (capital spending); the backlog for maintenance and need for more infrastructure is growing; AND the cost of living is unaffordable which makes tax increases unpalatable. It’s a perfect storm, really. Interesting City analysis of transit fares.